Abu Dhabi: Some of the region’s top motorsport stars are gearing up for the first two-day Abu Dhabi Rally on Thursday and Friday. Fifteen teams will compete in the competition, which begins at Yas Marina Circuit and which is a candidate event for the 2015 FIA Middle East Rally Championship (MERC). The rally is being held by Abu Dhabi Racing and Yas Motor Racing Club and begins with a spectator stage on Thursday, where motorsport fans can watch elite drivers from the UAE, Qatar and Lebanon battling it out. Among the favourites to clinch the Abu Dhabi title are Shaikh Khalid Bin Faisal Al Qasimi, Chairman of Abu Dhabi Racing, who was one of the first drivers to register for the event. 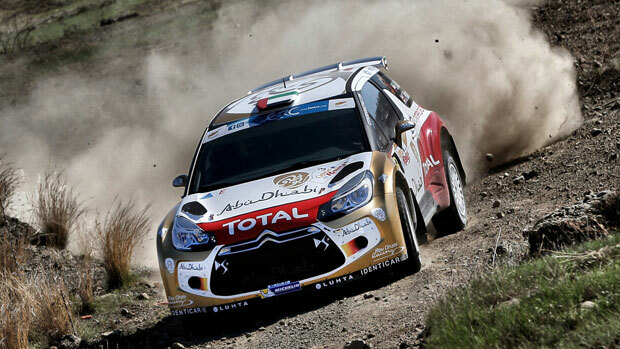 He has also ensured that the Abu Dhabi Racing youth drivers Mohammad Al Motawa’a, Mohammad Al Sahlawi, Mansour Bel Helei, Saeed Bin Touq and Juma Al Falasi will be participating in the 2WD Citroen DS3 R3 class. Shaikh Khalid shot to prominence in 2002, when he won the Group N title in the Middle East Rally Championship. He is currently second in the MERC table and is participating in selected World Rally Championship rounds with the Citroen Total Abu Dhabi World Rally Team. Shaikh Abdullah Bin Faisal Al Qasimi, Shaikh Khalid’s elder brother has also confirmed his participation in a Ford Fiesta RRC. Shaikh Abdullah should be a serious contender for the AD Rally title, having won the UAE crown in 1993, 1998, 1999, 2001, 2008 and 2010. He also won the MERC Group N title in 1998, 2000 and 2003. Another leading contender is expected to be Qatari champion Abdul Aziz Al Kuwari, who had a two-year winning streak in the Qatar National Rally from 2010. Abu Dhabi Rally 2014 consists of nine stages, kicking off with an asphalt stage (3.51km) at Yas Marina Circuit on Thursday, to be held after the ceremonial opening of the rally at 8pm. The spectator stage will be held on the North Handling Circuit at Yas Marina, where each driver will have two attempts at recording his fastest time. Access to the stands will be free of charge. The second day of the event will consist of eight special stages on gravel roads. The first stage is Ghantoot (18.7km), followed by Al Jarf (20.55km), Al Maha (12.7km) and Al Taweelah (21.1km). The competitors will then repeat the same stages.